Agnes Martin is one of the most important artists of the twentieth century. Before she died in 2004 at the age of ninety-two her paintings sold for millions of dollars and were displayed in the world's greatest museums. Martin was respected and achieved the art world’s highest awards. She painted for twenty-three years, until she reached a style she was happy with in 1964. Her time in New York in the early sixties saw her create what are now called her grid paintings. Despite many interviews, very little was known about her life, particularly her life before 1958, the year of her first solo show in New York. A documentary film, by Kathleen Brennan and Jina Brenneman, captures little known stories as told by friends, lovers and classmates who knew her well and give insight into Martin's personality and development of her creative process. Run Time: 56 minutes. 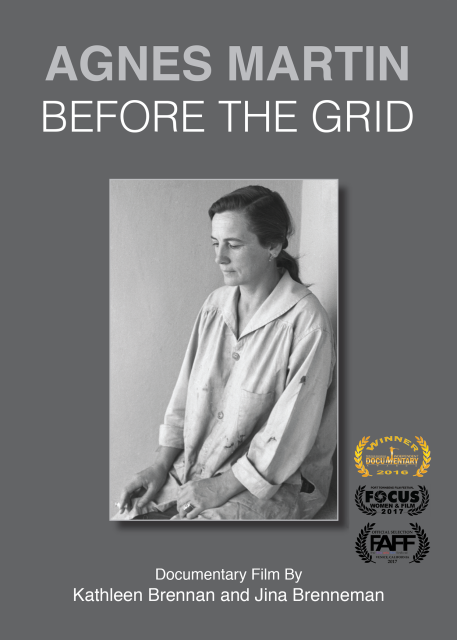 Trailer Agnes Martin Before the Grid from Kathleen Brennan on Vimeo. For Educational or Institutional online streaming, click below to find out more.